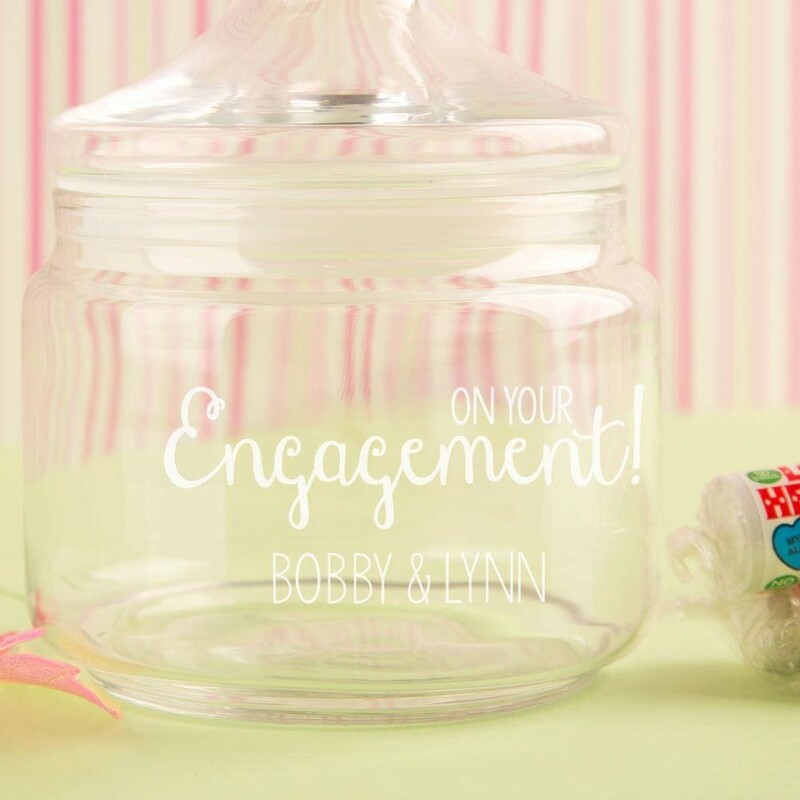 For a special couple celebrating an engagement, what better way to say congratulations than with a personalised jar full of their favourite sweets? 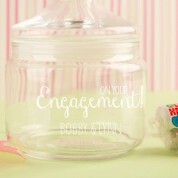 The quirky jar mimics a vintage sweetie shop container and features a typographic design that reads: “On your engagement”. 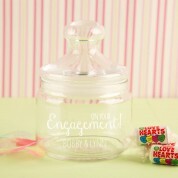 We also include the couple's names to give it a personal touch. 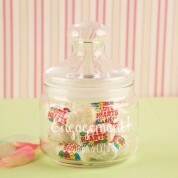 They will love to display this timeless gift in any room, and it can be used to store any bit and bobs around the house. All designs, personalisation and engraving are done in house by our production team to ensure the best quality is delivered to the customer.